Photos courtesy of www.wcupagoldenrams.com and Nicholas Meola. 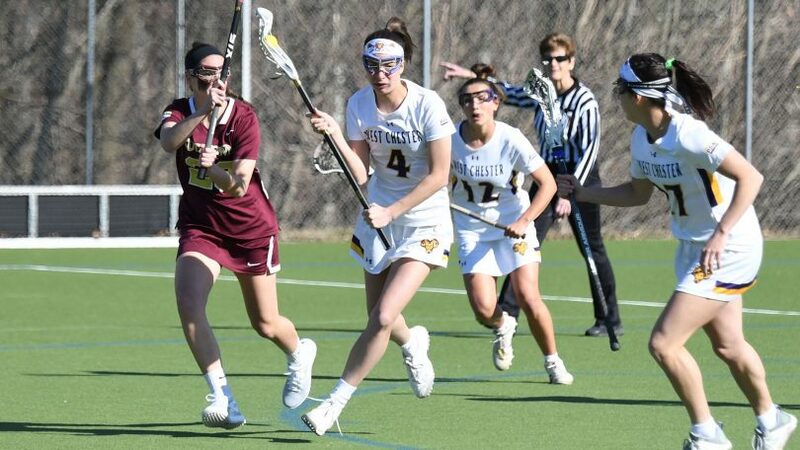 With six games left in the regular season, the women’s lacrosse team has found their identity and is building confidence. Their most recent wins over Gannon and Mercy College only validate the fact the Golden Rams have their sights set on something significant. The team will be the first to admit this season has not been easy. 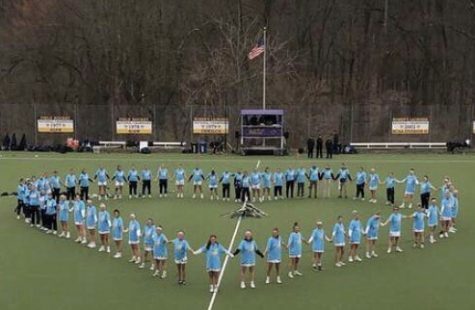 Despite overtime losses to Le Moyne College and PSAC foe East Stroudsburg, the Golden Rams have stayed together and rallied behind their experience, the game they love, and an unfortunate loss in the Golden Ram community. 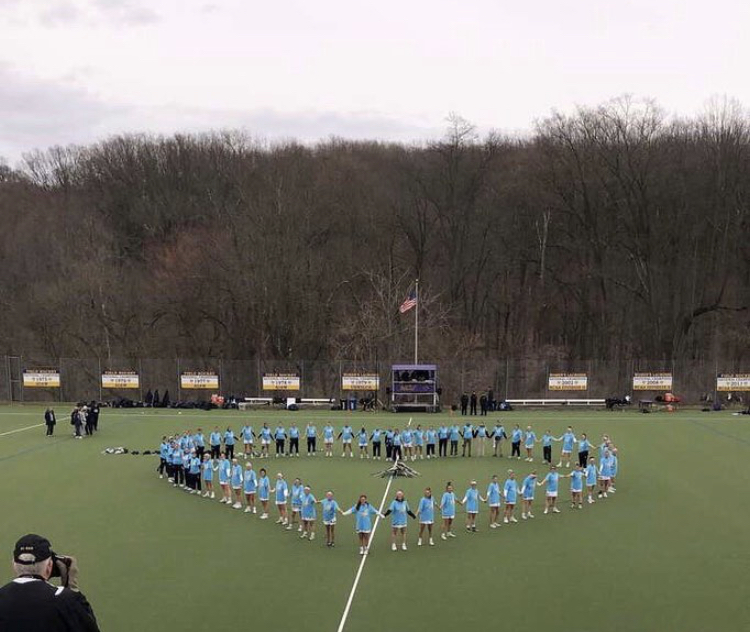 Last week, the West Chester and Mercy College players joined hands before the game, forming a heart in honor of a student-athlete’s life who was lost too soon. In a game full of emotion, the Golden Rams saw themselves trailing 4-1 early in the first half. Sophomore Trisha Baud made the most of her minutes as her two goals within 43 seconds of each other saw the margin cut in half, a deficit that West Chester knew they could overcome as the second half approached. After the intermission, the Mercy College Mavericks took a 7-4 lead early in the second half. Baud then completed her hat trick in the second half, while seniors Maggie Stella and Sami Barnett led the purple and gold rejuvenation. Tatum Altman continued her impressive run, as her goal with seven minutes left on the clock proved to be the difference. West Chester’s stout defense managed to hold on for a 9-8 victory over the number fifteen ranked team in the country. On Saturday, West Chester went out to Erie to face Gannon University in a PSAC matchup. The Golden Rams conquered the Golden Knights by a score of 21-3. Hat tricks from Ryan McKinney, Tara Morrissey, and Emily Schulze set the tone among the eleven point getters on the day as the purple and gold headed home in contention for first place. This season presents a unique set of circumstances, as sisters Ryan and Drew McKinney have joined forces in their pursuit of a National Championship. Ryan McKinney spent her last three years as an LIU-Post Pioneer, but joined the Golden Rams for her senior campaign. The tandem even connected on a nifty give-and-go late in the second half against Mercyhurst as Ryan slotted home a pass from Drew. The Mercyhurst game has proven to be a turning point in the West Chester season. The Lakers scored two goals in the opening two minutes, and it looked uncertain how the rest of the day would unfold. An early timeout called by Coach Martino helped refocus the group, as they immediately responded with a pair of goals and never trailed following the break in play.